Car owners everywhere are raving about the new 2019 Volkswagen Golf and the exciting features it brings to bear. The comfort, technology, and safety features available for this Volkswagen hatchback offer lasting value. 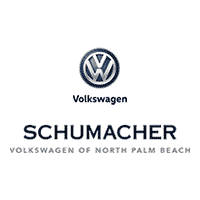 At Schumacher Volkswagen of North Palm Beach, we care about one thing above others: making sure you’re satisfied with the Golf or whatever option you may choose. The only step left is to get you behind the wheel for a test drive around North Palm Beach.